Birthdays at CYJ are very special! 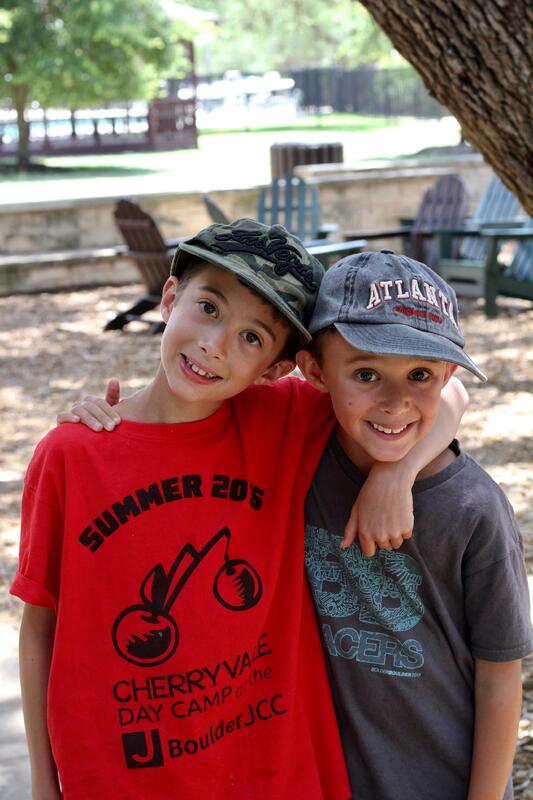 Campers spend their birthdays surrounded by their friends and favorite counselors. Beginning with the day's first activity, morning mifkad (flag raising), the birthday girl or boy is recognized in front of the whole camp. Everyone sings “Happy Birthday” together while the birthday camper “skips around the flag poles” either on their own or with their friends by their side. During the day, the birthday girl or boy is asked to pose for a special birthday photo, which we post online for parents to see. At dinner, the entire camp sings “Happy Birthday” again and, of course, they “skip around the room” one more time as we bring out a cake for everyone to see. Following the evening activity, the counselors bring the cake to the cabin for a birthday party, where they eat cake and celebrate the birthday together as a cabin. How many people can say that over 300 people sang “Happy Birthday” to them on their special day? Only those who are lucky enough to spend their birthdays with us at CYJ! We do allow campers to receive one birthday package on their birthday. Learn more about our rules on packages .